We are a long established family firm and have a great deal of experience in the laboratory industry. 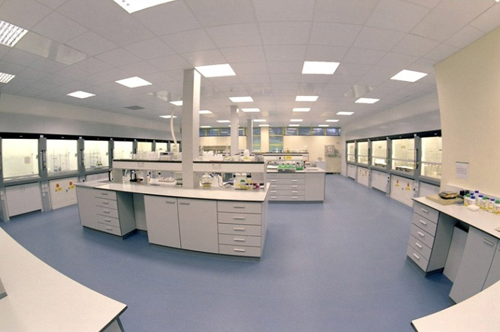 We provide a full range of laboratory products and services, including laboratory design. We offer a comprehensive, cost-effective and professional range to cater for all aspects of fitting out, remodelling and refurbishment of laboratories in the Industrial, Educational and Healthcare sectors throughout Britain. Whether you require professional advice on laboratory design, a complete turnkey multidiscipline installation, maintenance of an existing installation, or a spare part, Hoare Laboratory Engineering can provide the solution. Please take a look at our website and if you require additional information please do not hesitate to contact us. We believe in providing the right soution backed up by cost-effective pricing and a high level of customer service. Hoare are able to offer our customers a comprehensive range of laboratory products, fully accredited and safety checked. Our team of experts provide a full spectrum of services from laboratory design through to maintenance and testing.